The Singapore Justice Training Centre (SJTC), established in 2010 as IBJ’s first regional hub, continued to make considerable progress during its third and fourth years of operations. It was established with the help of a generous donation from the Lien Centre for Social Innovation. Housed at the Tanglin International Centre, the SJTC is a critical resource entity for legal professionals, bringing together lawyers, judges and government officials in its efforts to build fair and sustainable criminal justice systems across Asia. As one of the first NGOs invited to work in Singapore under the government’s International Organizations Development Scheme in 2010, IBJ has developed partnerships with numerous private and public entities, including Singapore’s Ministry of Foreign Affairs, academic institutions and law firms, to lead trainings and other events. In February 2011 the SJTC and the Ministry of Foreign Affairs Singapore merged expertise with innovation to create the first-ever Criminal Justice Training for ASEAN countries in Singapore. This inaugural event gathered 18 participants from Cambodia, Indonesia, Laos, Malaysia, Philippines, Singapore, Thailand, and Vietnam. The attendees learned both from each other and international experts about the current state of criminal justice in ASEAN at large, and within their respective nations. As part of the interactive training methodology, participants were asked to give brief presentations highlighting current laws in their own countries that uphold the rights of the accused, specifically early access to defense counsel. Experts from Singapore, Asia, and America introduced new methods of reviewing and analyzing evidence from a criminal case to provide the greatest access to accurate information. Advocacy and negotiation skills complemented the leadership development and criminal justice review. Building upon its successful collaboration with the Ministry of Foreign Affairs (MFA) on the IBJ-MFA Joint Training Program, the SJTC conducted IBJ’s “Legal Aid System Training for Myanmar” from 13 May 2013 to 18 May 2013. The successful week-long training event was attended by high-level government officials and lawyers from civil society, and marked an unprecedented and progressive step for Myanmar towards legal aid and criminal justice system. The Myanmar government delegation was led by the Deputy Attorney-General and comprised of seven other high ranking government officials from the Supreme Court of the Union, Union Attorney-General’s Office and Myanmar Police Force. 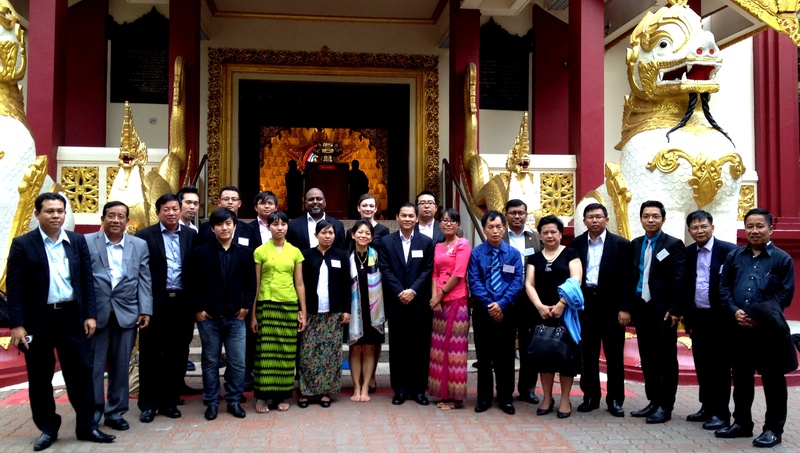 The private sector was represented by nine practicing criminal defense lawyers from the Myanmar Legal Aid Network (MLAW). The training witnessed the involvement of a large team of legal experts from diverse backgrounds, including law professors, presidents and senior members of regional law societies, senior lawyers and consultants, and inspirational legal aid lawyers around the world steered by IBJ’s core team. During the training week, the Myanmar delegation was also hosted by the British High Commissioner, the Spanish Ambassador and top international law firms for various aspects of the training program. Highlights of the training week included an inaugural “Regional Legal Aid Forum,” supported by SingTel, which saw numerous speakers share experiences, challenges and best practices to improve access to criminal legal aid. The Myanmar government officials were also hosted by senior prison officers for a study tour of Changi Prison to better understand prison management and rehabilitation of offenders. Sessions for skills training and capacity building were hosted by the National University of Singapore’s Lee Kuan Yew School of Public Policy, Clifford Chance and Shearman & Sterling. This proved to be a unique platform for meaningful engagement between government officials and young lawyers where open discussions and a shared learning experience were realized. The training event garnered media attention and was reported in Myanmar Business and Bangkok Post as well as in online news articles by the British High Commissioner and the Singapore Council of Women’s Organization. This ground-breaking event heralded an exciting start for Myanmar projects by IBJ. Overwhelmingly positive feedback was received from participants who suggested that more should be done to pave the future path for Myanmar’s legal aid system. IBJ is committed to further closer engagement with relevant stakeholders to promote criminal legal aid in Myanmar. The SJTC’s other major achievement in its third year was its launch of 50 eLearning modules by the 30th of June 2013. The modules are specific to seven ASEAN countries, namely Cambodia, Indonesia, Laos, Myanmar, the Philippines, Thailand and Vietnam, as well as India. The topics covered by the modules include the rights of the accused, the rights and obligations of defense attorneys, attorney-client relations, presumption of innocence, defences, evidence, cross-examination, complaint procedures, pre-trial detention, investigative torture, and preventing torture. To ensure the accuracy of the modules, the SJTC has leveraged its relationships with international law firms to engage the services of lawyers within specific countries to review the material. With these modules, the SJTC is helping an ever-expanding group of lawyers from around the world increase its skills and knowledge through an accessible on-demand training platform. In so doing, it helps to fulfil IBJ’s mission of providing ordinary people with early access to competent counsel. 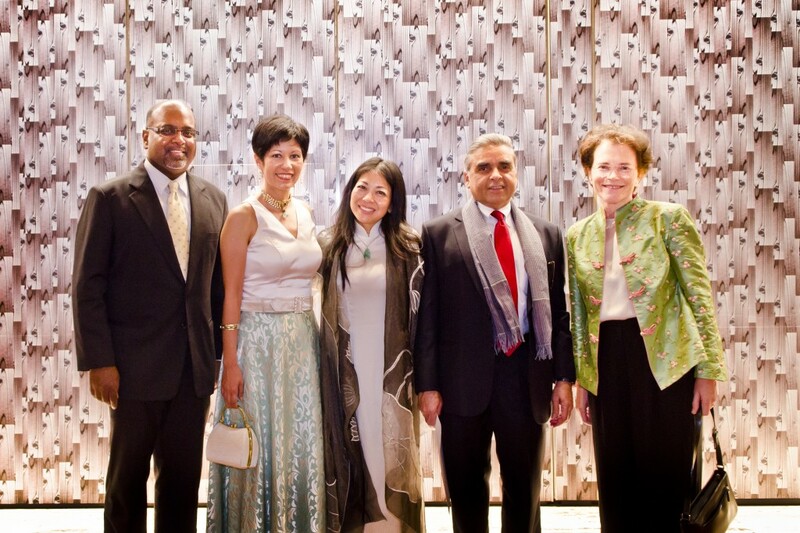 Prior to these recent developments, IBJ hosted two successful fundraising galas in 2010 and 2012. These events included the participation of the Senior Minister of State for Law and Education, Indranee Rajah. At the 2012 gala, CEO Karen Tse, spoke of IBJ’s programs and how countless individuals are helped by our JusticeMakers Fellows and the staff on the ground. Sanjeewa Liyanage, International Program Director of IBJ, presented a video of JusticeMaker Fellow, H.M. Harshi Chitrango Perera who successfully defended several detainees in Sri Lanka. These events contributed to the ongoing success of the IBJ initiatives in Singapore and it’s outreach in Southeast Asian Nations. IBJ, in tandem with the Lien Center for Social Innovation, awarded $5,000 in seed funding to twelve applicants for the 2010 Asia JusticeMakers Competition. In August 2010, the JusticeMakers gathered for a summit at the SJTC during which they presented their projects, participated in discussion groups and team building exercises, and attended lectures and training sessions.